Read details Enjoy FREE INTERNATIONAL SHIPPING for orders over $300! Just pick the items you like and go through the checkout while we take care of the rest! It's as easy as it gets: No weird shipping codes to input, no confusion! Read details We don't believe in restocking fees, so we don't charge them! If the item you want is out of stock, we'll restock it for you with no extra charge. Just let us know what you're after, and we'll get you the item that stole your heart - with NO restocking fees. Read details Not happy with your item? No worries! Our policy allows for easy return of parcels within 30 days of their shipment date. Your return form and invoice have the last date of the possible return of your order by mail. Return limitations apply, but we strive to provide you with the best service possible. 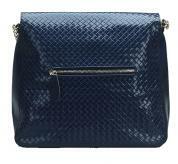 This highly celebrity style bag has a fantastic wave effect on the surface of the bag. 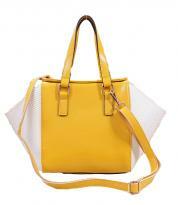 The bag can easily be adopted to enjoy in any season. 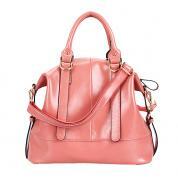 This highly elegant bag can be used as clutch, shoulder bag and cross body bag. The magnificent use of the brass chain strap and the attachable leather strap gives it an extra touch of fashion and thus makes it attractive. The internal structure is crafted in such a way that people can easily use the space to keep the essentials. It has a back zip pocket for the convenience of the women. The amazing look of the double snap is also be used to secure the essentials. 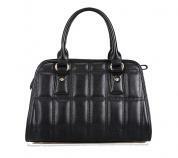 -	Made of 100% genuine leather. -	L*W*H 30cm*12cm*31cm (11.8" *4.7 " *12.2"). 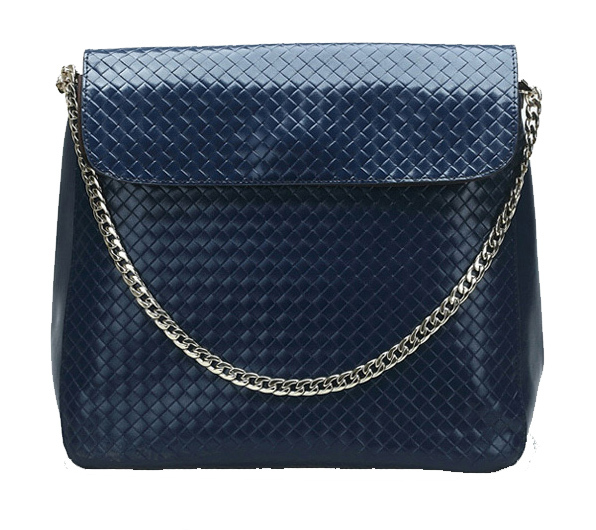 -	Luxurious brass chain strap and attachable leather strap. 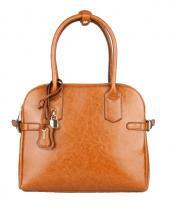 -	Versatile as clutch, shoulder bag and cross body bag. 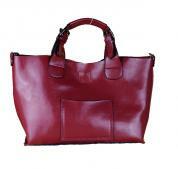 -	Color options: navy blue, black, wine red. -	Highly elegant and stylish celebrity style designer inspired. 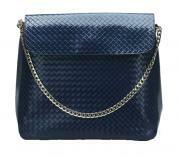 -	Shoulder bag features exquisite weaved effect and posh chain strap. -	Double flaps fastened via hidden magnetic snap. 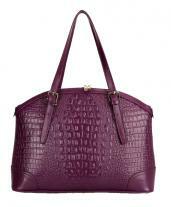 -	Interior secured with zip with fully lined lining. 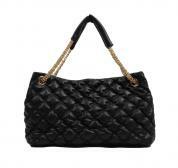 © 2013-2014 Handbags4sure. All Rights Reserved.